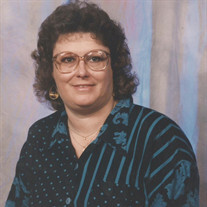 Wanda Coose, 60, passed away April 19th, 2017. She was born November 26th, 1956. More than anything she loved time spent with her family. She was preceded in death by her parents Ella Mae and Jimmy McDowell. She is survived by her husband of 33 years Rick Coose; one son Shane Frazier and his wife Angela one daughter Charlotte Jackson and her husband Bill; three brothers, Buddy Levitt, Preston Levitt, Monroe Levitt, two sisters, Meredith Melton and Mary Ellen Levitt; nine grandchildren: Megan and Garry Farris, Kayla Jackson, Jacob Jackson, Dallas Miles, Taylor Smith, Brendan Frazier, Gracie Frazier, Cierra Frazier, and Shiloh Beck; and two great-grandchildren, Riley Farris and Wyatt Farris; and a host of other relatives and friends. Visitation will be Saturday, April 22nd from 10-11 AM with the funeral service beginning at 11 AM both at the Willis Funeral Service Chapel.